Finding the right items for wedding favors — neither too cheap nor too grand — can be difficult. 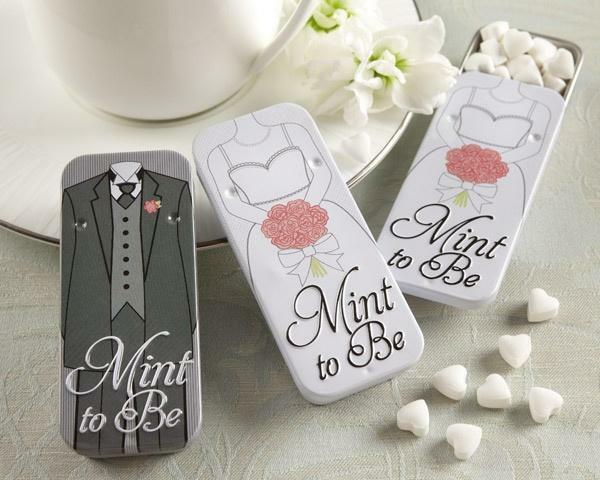 With wedding favors, the line between cute and kitsch can be mighty thin. If you either can’t or don’t decide to spend money on favors, then you should forego giving anything at all — it’s not necessary. With a little creativity, however, you can probably find or make the perfect favor. Flower bulbs (tulip, daffodil, grape hyacinth) with growing instructions. If favors aren’t part of your tabletop décor, the best way to distribute them to guests is as guests are leaving the reception. Put the favors in small shopping bags with pretty tissue paper and have a waiter hand one to each guest.